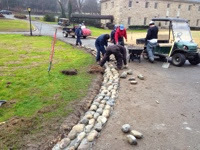 The front drive has been getting torn up with the increase in golfers and members. 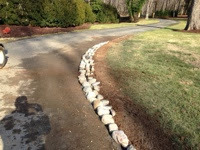 I have decide to incorporate a rock curbing/rubble strip to reduce the turf damage at the front drive and club house area. Hopefully it will work and last.